To help better serve our customers, on June 1, 2017, we’ll be moving our Downtown Lancaster location and combining it with our nearby Fruitville Pike store. We’ll still be providing all the services you’ve come to expect from our Downtown store including high-quality printing, film processing, and camera sales and service, we’ll just be doing it a short distance away. By combining our production, sales, and service teams under one roof, we’ll be able to provide you with better service, faster turnaround times, and an improved in-store experience. Our last day at 220 North Prince Street will be Wednesday, May 31. 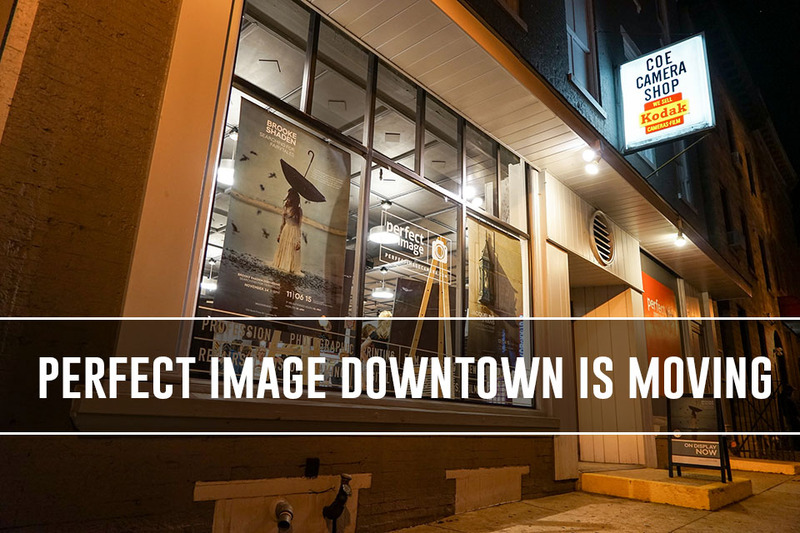 We recognize that for more than 75 years Coe Camera, and then perfect Image Downtown, has had a positive impact on the city of Lancaster. We always enjoy hearing customers’ personal stories of connection to the Downtown store. Whether they’re recalling the first camera they bought, or reliving their own history through the prints they’ve made, Coe Camera’s role in generations of local residents’ lives is undeniable. By making this move, we fully intend to honor that legacy by continuing to operate a strong independent camera and photo printing store for the photographers of Lancaster County in the decades to come. You’re welcome to pick up any finished orders that originated at our Downtown location up to and including Wednesday, May 31st. If you don’t make it in to pick up your orders by that date, don’t worry, we’ll be transferring all unclaimed orders after May 31st to our Fruitville Pike location where you can claim them at your convenience. If you have any questions at all about open orders, please do not hesitate to contact us. While we’re sad to be leaving our location in the city, we hope to see you all soon at our Fruitville Pike location right up the road.